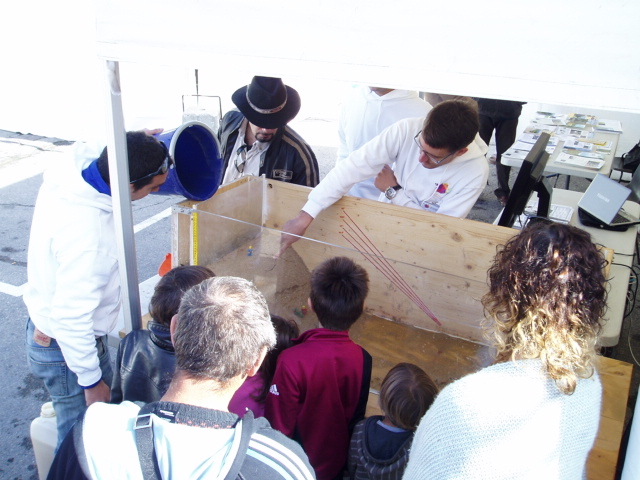 The “Fête de la Science” is a science popularization event, organized yearly by the french Ministry of High Education and Research, resulting in many “scientific villages” popping up in city squares. 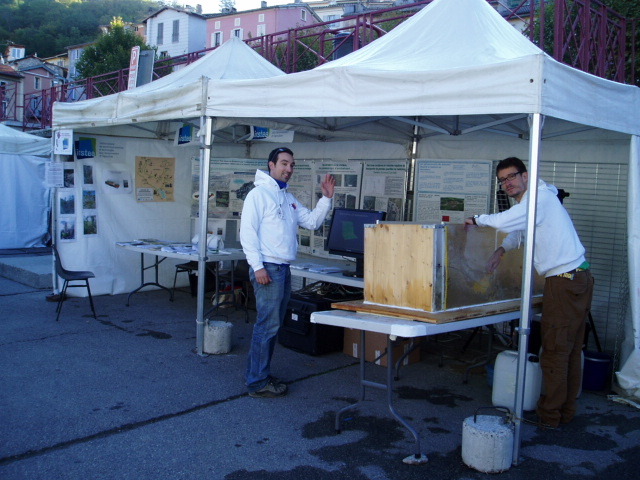 A team of CRET researchers was present in Digne-les-Bains, in south-eastern France, 13-14th of October 2012. The link between CRET and this region comes from research conducted in Draix (15 km from Digne-les-Bains) on black marls erosion monitoring using LiDAR scanning. This project is one of many active in a “GIS” (Groupement d’Intérêt Scientifique), with 15 research groups implicated (mostly from France) around the study of erosion through many fields, from hydrology to pedology and biology. The team presented the LiDAR instruments used in thoses studies, as well as a landslide simulation sandbox. Over 200 people came over the two days to ask questions, or to tell a story of their own regarding natural hazards or erosion in the region.